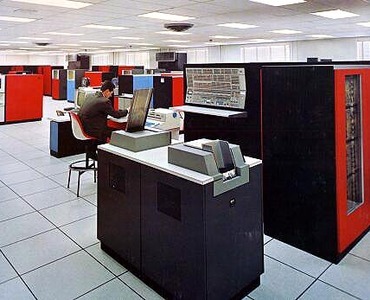 The Model 75 was an outgrowth of IBM's continuing engineering development effort to enhance the capabilities of the original System/360 offerings. Its main memory operated at 750 nanoseconds and was available in three sizes up to 1,048,576 characters of information. The memory was interleaved up to four ways to obtain increased performance. The Model 75 superseded the original Model 70 of the System/360 family, which had been announced a year earlier. Manufactured at IBM's plant in Kingston, N.Y., the Model 75 had a monthly rental range of $50,000 to $80,000, and a purchase price range of $2.2 million to $3.5 million. Deliveries began during the fourth quarter of 1965.